So excited to reveal my favorite colour from the new Sea Siren Winter 2015 collection. 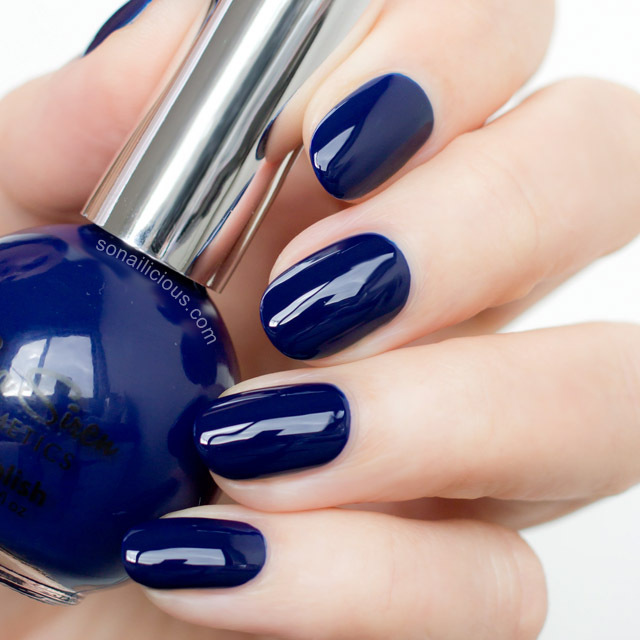 Meet Navy Seal, your go-to warm midnight blue creme polish. I was honoured to have the opportunity to see the entire collection before it launches. 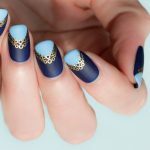 And, if you’re following me on Snapchat (username: SoNailicious), you may have already seen some of the new colours there. 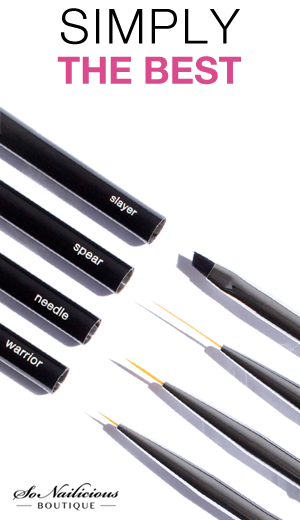 They range from deep, luxurious shades of oxblood and emerald to chocolate and nudes. What a great palette for colder months – Australian winter, we’re ready for you! I wish I could show you the entire collection but I’m keeping my promise to Sea Siren founder Deborah and remaining tight lipped until the official launch later this week. For nail design I went for my beloved edgy moons manicure, which is by now has become a classic. I remember doing it for the first time in 2012 for my first magazine shoot and then also here. 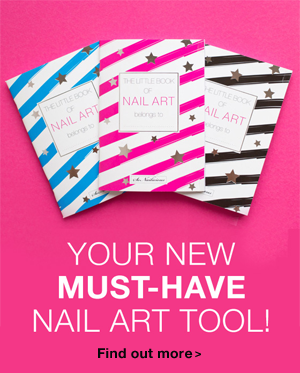 Even though a lot has changed since then (including the technique – no more sticky tape for me, go nail art brush! 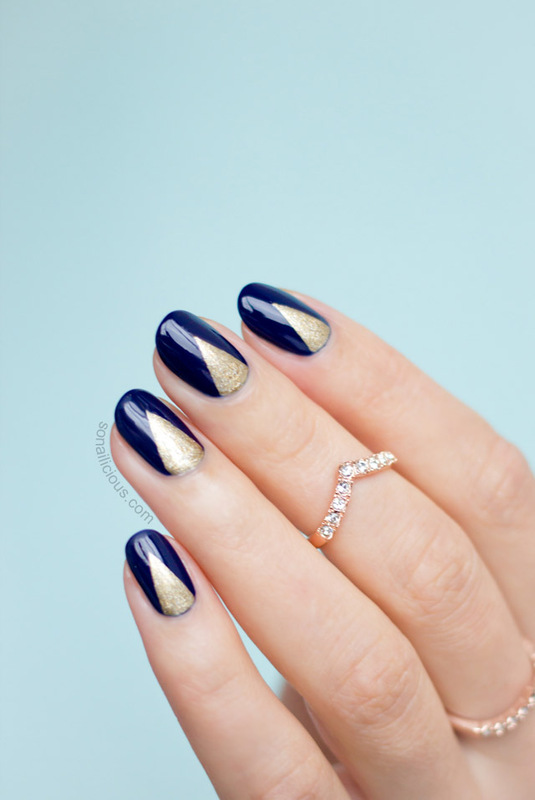 ), these blue and gold nails with edgy moons are still one of my favorite looks. 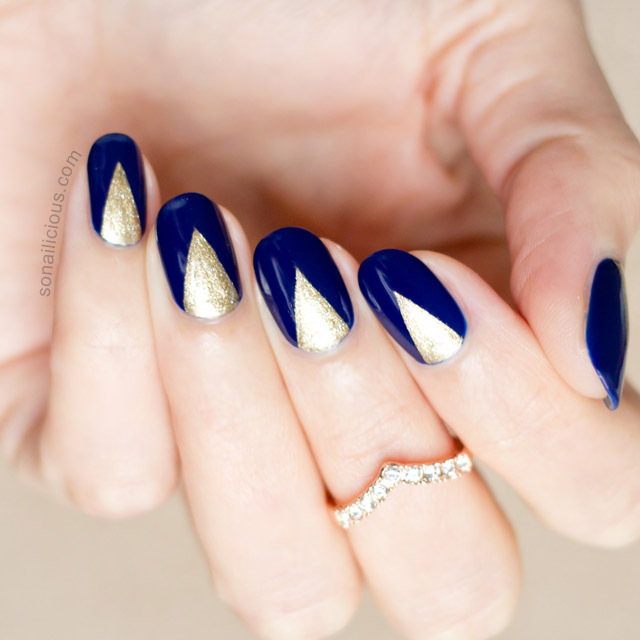 It’s such a great evening manicure! 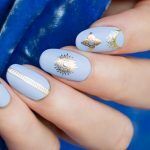 Used: ORLY Luxe (gold), Sea Siren Navy Seal (launching this week) and Sea Seal top coat available via Sea Siren Cosmetics. 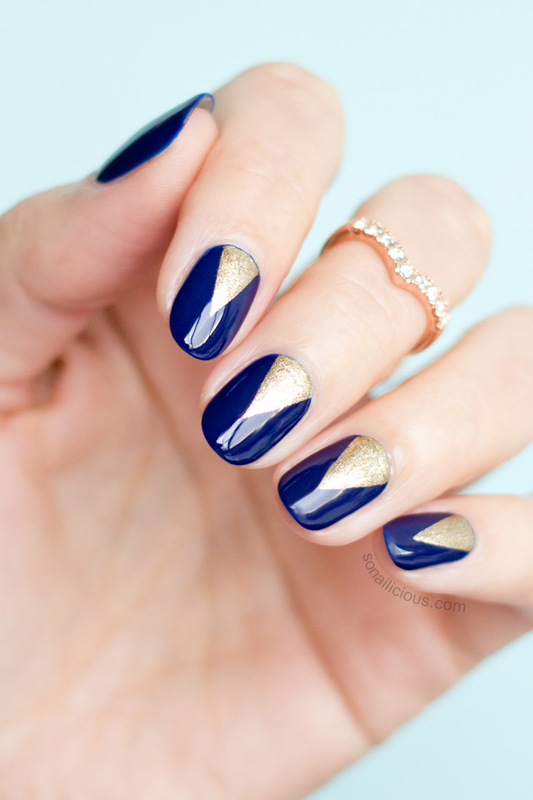 So what do you think about these blue and gold nails with edgy moons? 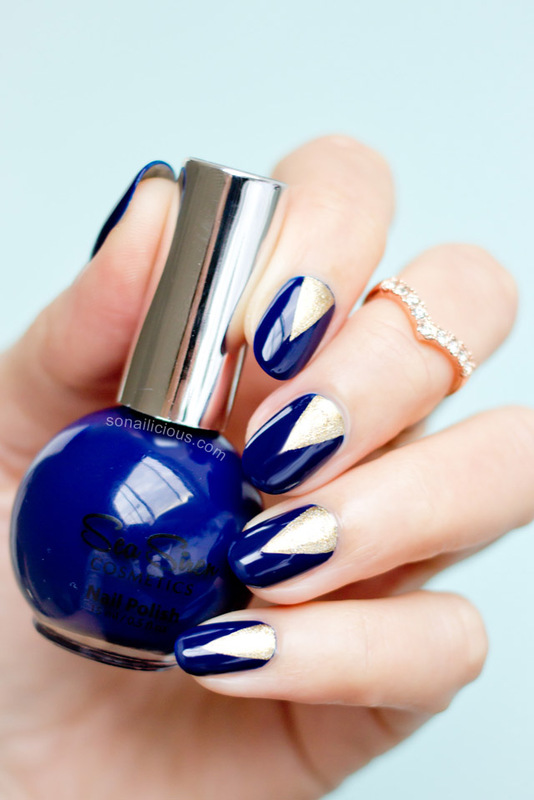 And, how do you like the new blue – Sea Siren Navy Port?